In an appearance on The Late Show, Vice President Joe Biden gave an emotional answer about his current thinking about entering the 2016 race for the White House. Meanwhile, his would-be Democratic opponent Hillary Clinton apologized this week for her use of a private email server during her tenure as secretary of State. Clinton admitted it was a "mistake" after months of insisting she did nothing wrong. CNN’s Jeff Zeleny discusses the progression of Clinton’s answers on her emails, how other Democrats may be benefitting from the controversy and the Clinton campaign's attempts to soften her image. On the Republican side, Carly Fiorina and Ben Carson both took aim at frontrunner Donald Trump. Will any of their attacks take him down? On Capitol Hill, the Iran nuclear deal survived Republican opposition, handing a foreign policy victory to President Obama. This week the administration also announced plans to accept 10,000 Syrian refugees next year. Los Angeles Times' Doyle Mcmanus discusses how the U.S. response compares to European nations. GWEN IFILL: Trumping Trump, and campaign contrition, plus an Iran deal victory, tonight on Washington Week. MS. IFILL: Be careful, indeed. The vice president’s emotional late-night turn sends Hillary Clinton yet another curveball, as the Democratic front-runner tries to regain her footing. FORMER SECRETARY OF STATE HILLARY CLINTON: (From video.) And I’m trying to be as transparent as I possibly can to not only release 55,000 pages of my emails, turn over my server, but I am looking forward, finally, to testifying before Congress. MS. IFILL: Republicans, meanwhile, try to wrestle the elephant in the room to the ground. LOUISIANA GOVERNOR BOBBY JINDAL (R): (From video.) Donald Trump is for Donald Trump. He believes in nothing other than himself. DONALD TRUMP: (From video.) And you said, oh, Ben Carson’s surging. Well, I’m almost double his numbers. BEN CARSON: (From video.) That’s a very big part of who I am, humility and the fear of the Lord. I don’t get that impression with him. MS. IFILL: On Capitol Hill, the president’s victory on the Iran deal. HOUSE MINORITY LEADER NANCY PELOSI (D-CA): (From video.) I’m very proud of the debate and the substance on which our colleagues have based their decision. MS. IFILL: While a new foreign policy issue crops up. Can the U.S. offer safe harbor to refugees fleeing Syria? PRESIDENT BARACK OBAMA: (From video.) The refugee crisis is not just a European problem. It’s a world problem. MS. IFILL: But will that be enough? Covering the week, Jeff Zeleny, senior Washington correspondent for CNN; Anne Gearan, national politics correspondent for The Washington Post; Michael Crowley, senior foreign affairs correspondent for POLITICO; and Doyle McManus, columnist for the Los Angeles Times. ANNOUNCER: Award-wining reporting and analysis. Covering history as it happens. Live from our nation’s capital, this is Washington Week with Gwen Ifill. 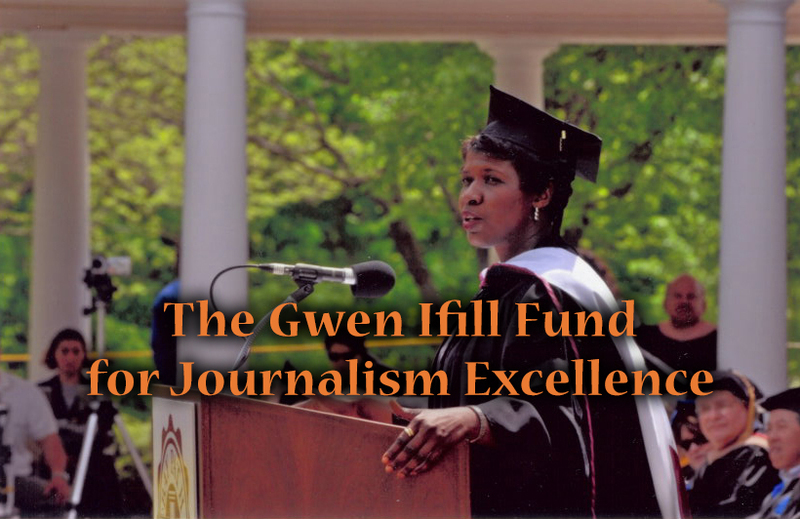 Once again, live from Washington, moderator Gwen Ifill. MS. IFILL: Good evening. 2016 politics this week veered from the zany to the deadly serious and back again. The vice president, who in the wake of his son’s death this summer has taken his presidential deliberations public, was emotional and affecting on the CBS Late Show with Stephen Colbert last night. VICE PRESIDENT BIDEN: (From video.) I don’t think any man or woman should run for president unless, number one, they know exactly why they would want to be president; and, two, they can look at the folks out there and say: I can promise you, you have my whole heart, my whole soul, my energy and my passion to do this. And I’d be lying if I said that I knew I was there. It’s a – I’m being completely honest. MS. IFILL: Contrast that to Hillary Clinton, whose campaign has taken a hit for its evolving explanations over her handling of government email, beginning in March. MRS. CLINTON: (From video.) The server contains personal communications from my husband and me. And I believe I have met all of my responsibilities. And the server will remain private. My personal emails are my personal business, right? But in retrospect, certainly, as I look back at it now, even though it was allowed, I should have used two accounts – one for personal, one for work-related emails. That was a mistake. I’m sorry about that. I take responsibility. MS. IFILL: So, let’s take a look first at Joe Biden, who’s not even in the race, at Hillary Clinton who is sliding in the polls, and at the rise of Bernie Sanders. Is there a connection here somewhere, Jeff? JEFF ZELENY: Sure, there’s definitely a connection with this, because when Hillary Clinton started this campaign some almost six months ago, everyone thought that she was the dominant Democratic force in the race. There wasn’t much of an opening. Well, we’ve gone from seeing a crack to a full open door here. And that has given Joe Biden the ability to openly flirt with the idea of running. You get the sense that Joe Biden is enjoying this very much, not necessarily in the clip on the Late Show – that was a very genuine, authentic moment – but at the Labor Day parade in Pittsburgh earlier this week. Boy, was he enjoying that, loving the idea of possibly running. So there is definitely an opening for him to do it. MS. IFILL: He’s done it twice before. MR. ZELENY: He’s run twice before. But he’s not sure if he able to. But he’s still advising – or, he asking his advisors to get everything in place. There are people lined up who would be an Iowa campaign manager. There is someone lined up who would be a New Hampshire campaign manager. The reality is, though, they’re not sure if he’ll pull the trigger on that. So I’m still told October 1st is – or around October 1st is the decision time. MS. IFILL: So, Anne, does that mean that Hillary Clinton feels these footsteps, watches – reads the polls more closely, clearly, than we do, and sees that Joe Biden, who’s not even in the race, is taking some strength from her. And Bernie Sanders remains strong. Does that explain what we saw there, this evolution? ANNE GEARAN: It definitely explains part of it. I mean, the campaign has had to reckon with their own mistakes here. They didn’t really see the email issue for what it was at the beginning. And that has dogged them all along. I mean, she really has kind of looked grudging and reluctant to make the iterative moves she’s made to get to “I’m sorry.” And that just didn’t look good. Whatever the there-there, it didn’t look good to have – to have it drag out so long. So, yeah, that has contributed to an opening. Definitely it’s helped Sanders. One of the great things that Sanders has going for him is his authenticity, his un-politician feel. He is an elected senator, but he doesn’t really kind of look and sound like a typical politician at all. MS. IFILL: Actually, let’s listen to this. We have a little bit of Bernie Sanders from on the campaign trail this week that demonstrates your point. SENATOR BERNIE SANDERS (I-VT): Don’t tell anybody, I think they’re getting nervous – don’t tell anybody. I think the secretary’s people are getting very nervous about the kind of energy and enthusiasm our campaign is bringing forth. MS. IFILL: That’s Bernie Sanders you’re talking about, right? DOYLE MCMANUS: So, Anne, why has it taken Hillary Clinton so long to get to this point? Because she is an accomplished politician. She’s got the smartest campaign staff in America. She’s got one of the smartest pollsters in America. It’s not like the public mood should have been difficult to read. MS. GEARAN: No, I mean, that is exactly the question to ask. Did they simply not understand what they had in front of them at the beginning? It’s starting to look like that. And another thing is, she has always said and still believes, clearly, she didn’t do anything wrong. So she feels like it – this is being – she’s being pushed up against the wall for no reason. And the more she got pushed up against the wall, the worse it looked and the more – the more her own donors and supporters had questions. And then they came to her and said: We don’t know what to tell people when they ask us what this email thing is. Did you did something wrong? No, I didn’t. But then, how do we explain it? It became a very circular problem, where the very people she needed to be able to have go out on her behalf and say there’s nothing here folks didn’t know what to say. And then it kept going. MR. CROWLEY: And so, Jeff, does this kind of tie off the bleeding artery? Will we see – is it possible the email story will fade, that this was actually kind of a summer hysteria, a lot of fun for the media to talk about, but maybe she’s able to turn a corner and move on? MR. ZELENY: In a word, no, probably not, because she has an important meeting on Capitol Hill in October with the – an appearance before the House Benghazi Committee. So that ensures that this will keep going. The FBI is still looking into this email server. But I think she has turned a corner with this because I think, frankly, what you said about her donors, Anne, you’re totally right about that. You know, Democrats get nervous more than anyone else. And they are nervous about this. She finally has addressed this and said she’s sorry, but the number that struck me this week in all of the polling that’s out there – in April, 60 percent of Democrats were enthusiastic about her running, six in 10. Now, only four in 10 are – 40 percent of Democrats are enthusiastic about her. That’s not good. So she has to rebuild this enthusiasm in some way. But I think she’s turned a corner. This is going to be a dual track. The email stuff will continue and she’ll have to try and change the subject every day on Iran and other things. MS. IFILL: Well, speaking of changing the subject, Anna’s summer of hysteria – you like that segue, you like what I did there – (laughter) – on the Republican side the campaign has devolved into a different challenge: Who can trump Trump? The field saw its first casualty today when former Texas Governor Rick Perry dropped out of the race, but not without this anti-Trump warning. FORMER TEXAS GOVERNOR RICK PERRY (R): (From video.) We cannot indulge nativist appeals that divide the nation further. The answer to our current divider-in-chief is not to elect a Republican divider-in-chief. MS. IFILL: Perry’s point played out in a week of insult trading. In this Rolling Stone interview, Trump was asked about Carly Fiorina. And he said: Look at that face. Would anyone vote for that? Can you imagine that the face of our next president? I mean, she’s a woman and I’m not supposed to say bad things, but really, folks, come on. Are we serious? This was Carly Fiorina’s response. CARLY FIORINA: (From video.) I think those comments speak for themselves and all the many, many, many thousands of voters out there that are helping me climb in the polls, yes, they’re very serious. MS. IFILL: And perhaps the sharpest blow was landed by the candidate who is now number two in Iowa and New Hampshire, Ben Carson, who really took – he didn’t actually go after Donald Trump, because he doesn’t have that kind of persona – but he did take a shot. MR. ZELENY: He raised the question. He raise the sort of thing that has not been spoken very much. What is Donald Trump’s moral center, his character, his faith? The Iowa caucuses are dominated by social conservatives on the Republican side. And Donald Trump actually has been doing fairly well in the polls among evangelicals. It’s frustrating to some of these other candidates. So the chatter in Iowa Republican evangelical circles has been when is someone going to sort of, like, raise the question that Donald Trump is not one of us, he doesn’t have our beliefs? So that’s what Ben Carson is doing. He’s already been doing in private settings, so now he’s doing it in public. He not doing a firebrand speech about it, but he’s raising this point. So I think that is one of the things that has – will have an effect here. But Donald Trump clearly is not going to be knocked down by one thing. We’ve seen that, because every single – but the compilation of things, I think that is one that has staying power in Iowa. MR. CROWLEY: Who’s next to get out of the race? Rick Perry has dropped out. Whose days are numbered? MS. GEARAN: I don’t – I mean, there are several who could stay in for a long time in a way that he couldn’t, like Lindsey Graham, right? He’s running on a shoestring. It doesn’t really matter how long Lindsey Graham stays in the race. But I could see – I could see a Lindsey Graham dropping out, maybe even Rand Paul. I mean, a number of people who will not be at the – you know, at the grown-up table at the debate this week. One of them, probably after the debate – somebody after the debate. MR. MCMANUS: Well, in earlier campaigns, the conventional wisdom at this point would have been that some of these people who aren’t in the top five or the top six, now we have to say the top dozen, would start running out of money. And that’s who would drop out. Is that happening to anybody at this point? MR. ZELENY: Well, it’s interesting because now there’s super PACs. And Rick Perry had $17 million in his super PAC, but his – but this actually sort of proves that you need more than super PAC money. MS. GEARAN: He couldn’t – like, he couldn’t keep the lights on. I mean, you cannot spend super PAC money for everything. He couldn’t pay ordinary salaries and filing fees and just dumb stuff that, you know, that you – like, the daily bills, basically. MS. IFILL: And is also possible that the lesson of Rick Perry may be that if you take on Donald Trump you might not win? Nobody who’s taken him on so far has benefited from it. MR. ZELENY: That’s one of the lessons, but I think Rick Perry’s lesson also is, he maybe never was going to get a second shot. He’s a much better candidate the second time around, without question. He really studied issues and things. But I think all of our impressions of Rick Perry are kind of locked in from four years ago. So that was one of his challenges with voters. And Ted Cruz came along, other new people, new faces have come along to sort of fill that void. That was a challenge for him. MS. IFILL: Does Donald Trump have a strategy? I mean, he seems to just be just lashing out, but it’s hard to tell whether there’s a reasoning behind all of this. MS. GEARAN: Well, somebody said last week he’s sort of like the dog who caught the school bus, right? I mean, I think his strategy was to get out there and be Donald Trump for a while. And this is great. I mean, it’s good for business. It’s good for him. And somewhere along the line, it occurred to him that he might actually be able to president. And so I think that’s now his strategy. He thinks he can win. MS. IFILL: That’s not a bad strategy, as they say, especially when you’re leading in the polls. MR. ZELENY: We’ll see how he evolves as a candidate. MR. ZELENY: I think that’s the next phase for him. Does he evolve into more of a serious candidate? And the debate next week offers an opportunity. MS. IFILL: OK. Well, we’ll be watching all of that, of course, and talking about it more in our webcast. Now, to the Iran deal. As expected, the president claimed a huge foreign policy victory this week that challenged his enemies, alienated some of his friends, and allowed him to save face on the international stage. Plus, if all works as promised, it will defuse a major nuclear threat in the Middle East. It’s that last part that still makes most Republicans, more than a few Democrats, and some foreign allies nervous. So the rubber hits the road. What happens next, Michael? MR. CROWLEY: Well, what doesn’t happen, much to the relief of the Obama White House, is that a resolution of disapproval shows up on the president’s desk that he has to veto, and then the Democrats in Congress would have to kind of rush to his rescue and prevent Congress from overriding the veto. So substantively, the outcome would have been the same. It’s been pretty clear for a while that Congress was not going to wreck the deal, but I think the White House is breathing a big sigh of relief. Partly I know I, as somebody who’s been living with this story for a while and Anne who covered it a lot, I’m just happy not to have to go through all that rigmarole because we’ve been hearing the same arguments over and over again. MS. IFILL: Plus, process is never a fun story to cover. MR. CROWLEY: Process is not a fun story, and the substance here is fascinating. And that conversation, that substantive conversation, will continue. So you mentioned the question about the allies. I think that Israel and the Gulf Arab states are trying to figure out now this deal is done, so what does this really mean? What kind of policies are we going to ask the United States to enact? How are we going to counter Iran’s behavior in the region? And really, I think the – you know, the big question is, what will that Iranian behavior be? Now that the deal is done, the sanctions are going to lift – assuming that Iran follows through and things go smoothly which is not a given, we can talk about that – Iran’s going to have all this money, what are they going to do with it? What’s going to happen to their society, but also where are they – what are they going to spend it on? Are they going to cause more trouble? Are they going to be more aggressive? Are they going to menace Israel even more than they do? Those are the big questions right now. But on the political question, look, it was not a grand slam homerun, bipartisan victory for the president. I’m sure he would have loved that. But in this political climate with this Congress, I think – and given expectations, things you were hearing from inside in the administration several weeks ago, real concern that Congress could pull the deal down – I think there’s a big sigh of relief. And I think they’re maybe not popping corks, but clinking glasses or something a little more modest. MR. MCMANUS: Not only not a grand slam, this was – this was done by filibuster. It was done with no Republicans on the president’s side. It was another very partisan vote. Does that make it more difficult from here until the end of this presidency for the United States to hold up its end of the deal? Is there anything more that opponents of the deal can do in Congress on our side to get in the way of this? MS. IFILL: Health care, being the first example of that. MR. CROWLEY: But this will be somewhat like – I mean, people are saying this is the Obamacare of foreign policy. I think we will hear endlessly through the presidential campaign and the next congressional elections these vows to tear up and repeal the deal. Republicans are going to make this a rallying cry. Substantively, there’s not that much they can do, but there will be a lot of talk about whether you can pass sanctions on Iran that don’t have to do with the nuclear issues that we have resolved – not everyone likes the way we resolved them – but other ways you could squeeze Iran and tighten the vice on Iran on things like their behavior around the region. And that could complicate things. And I think, frankly, no one’s entirely sure how that will play out. So that’s something to watch. MS. GEARAN: I think I know the answer to this, but does it feel to you like this is an opening to some larger new relationship with Iran, when you have the kind of warnings that the White House is making about how they might do just that, right, they might actually start looking at other ways to constrain Iranian behavior? MR. CROWLEY: Well, as someone who covered diplomacy so well for a while, you’ll know that we’ve had this interesting, I think a little bit bipolar, where sometimes the president and I would say particularly John Kerry comes out, and in the rhetoric there’s talk about, well, you know, we’re not doing this to change Iran’s behavior. We don’t have faith in the idea that Iran will change, but it’s possible, and wouldn’t it be nice if we could work with them, and there are all these possibilities in the region. I think increasingly, particularly in the last few weeks, you’ve heard less and less of that. And I think in general there’s pessimism that this will be the beginning of a beautiful friendship – although there is sort of limited hope that we – where our interests overlap in the short term – for instance, possibly in a place like Syria – we would work with the Iranians. I know we won’t be talking about Hillary at the moment until later, but I noticed no mention in Hillary Clinton’s speech on Iran about some new partnership with the Iranians or working with them, a very gimlet eye toward them. MR. ZELENY: Speaking of beautiful friendship, what is the status of the relationship now with the United States and Israel? How damaged is it? Or will this turn the page and move on? MR. CROWLEY: You know, at its roots down in the ground, it’s actually a great relationship. The military-to-military, intelligence cooperation is as close as it’s ever been. At the leader-to-leader level, it’s about as bad as it’s been in a long time, maybe a generation, maybe a little less. President Obama and Benjamin Netanyahu don’t get along. They don’t like each other. They have argued about Iran constantly for months. But Netanyahu will be coming to the White House in November, we heard today, and it’s possible that would be the beginning to kind of – chance to begin to reset the relationship and say Iran is done, let’s move on. MS. IFILL: Another chance to watch the body language of those two leaders. MR. CROWLEY: It’s always fun. MS. IFILL: Always as interesting as watching the president and Vladimir Putin, the same sort of thing: chilly. Even as the domestic debate over the Iran deal was winding down, another international debate was picking up speed. The pictures tell the story: hungry, exhausted, despairing migrants and refugees streaming by the thousands into Greece, Hungary, Macedonia, Serbia, headed to Germany, France, Great Britain, many of them fleeing the war that has decimated their homes in Syria. And the question for the international community has been, who will take them in? So far, the U.S. has accepted only 1,500. Now there will be more. PRESIDENT OBAMA: (From video.) It is really important for us to go to the source. If you see a bunch of bodies floating down a river, part of your job is to pull those folks out and save who you can, but you also got to go downstream and see what exactly is happening. MS. IFILL: So if, as the president was suggesting, the roots of the crisis are much deeper, where does that put the U.S., Doyle? MR. MCMANUS: Well, it’s a – it’s a good question. And what the president gave there was kind of an odd double-edged statement because he was asked about refugees and he said, well, yes, we do have a moral obligation to help save some lives, but then he immediately pivoted to, but you know, the real problem is somewhere else. And by that, he meant the war in Syria. MS. IFILL: War in Syria. MR. MCMANUS: And of course, he’s right about that because that’s where the refugees come from, but there he’s got a problem because he and his administration have been struggling for four years to find a workable solution to that war that was touched off first in the Arab Spring. The United States supported rebels who turned out to be incapable of overthrowing the government, and the general mess we now have in Syria resulted. And not much the United States has tried to do has worked. So to the critics, this is really the biggest failure of Barack Obama’s foreign policy. MS. IFILL: Right. If the administration is talking about accepting 10,000, that’s a lot more than the 1,500 they accepted so far in this last fiscal – this ending fiscal year. Does that seem like a drop in the bucket compared to what the European nations are being asked to? MR. MCMANUS: It is at least a drop in the bucket that’s a visible drop, but yes, it’s a drop in the bucket. And to compare it, the easiest comparison is Germany is saying – OK, the United States, 10,000. Germany is saying that it is willing to take as many as 500,000 a year. Sweden is on track to take 80,000. Our number, 10,000, is about the size that Poland was being asked to take. We are way down there on the list. MS. GEARAN: The U.S. answer to that has for several years been, well, yes, but we’re spending the most. We’re the largest contributor to the U.N. relief and refugee operation. We’re the largest contributor to other humanitarian efforts. So it was money, not people. Until just a year ago, the U.S. was taking only in the double digits – I mean, 40 and 50 a year. And the – and the reason was that they can’t be vetted. They can’t get through the very rigorous Homeland Security checks to – so the people are languishing in camps for months. And you know, they fled Syria with no paperwork and no way to prove who they say they are. MR. MCMANUS: And that’s all true. It’s a kind of a distasteful explanation for why we don’t want to take more refugees in, but in fact, look, there are 4 million Syrians displaced outside the country, 5 million inside the country. Even the numbers we’re talking about here, whether you’re talking about 80,000 in Sweden and 500,000 in Germany, it’s bigger than a drop in the bucket but it doesn’t solve the problem. To me, in a way, the most shocking part of this story is that, it’s true, the United States has spent more money on it, and the rest of the international community really hasn’t stepped up. The United States has, Britain has, Kuwait has. But if you then look at the other contributions – Saudi Arabia, for example – that’s a drop in the bucket. And so the U.N., those camps are way underfunded. Do you want to know one reason those thousands of people hit the road? Because this year the U.N. has to cut their food rations in the camps because they didn’t have enough money to pay for food. MR. ZELENY: Well, that’s what I was going to ask. I mean, why is this happening right now? Is it because of things like the U.N. food ration? I mean, why now? Why this moment? MR. MCMANUS: That’s part of it. It’s a combination of that, this has been going on so long these people are beginning to despair. But then you have a couple of interesting sort of global economy issues – entrepreneurs, smugglers have gotten into this business. And Twitter. People in the camps actually learned from Twitter that Germany was changing its policy and that if they could get to Germany they could get in, and that opened the floodgates. MS. IFILL: And now people are putting up the fences to stem the floodgates, and that argument is also spreading to the United States Congress. So it’s not over yet. Thank you very much for that. And thanks, everybody. We have to go now, but as always the conversation will continue online on the Washington Week Webcast Extra, where among other things we’ll talk about what to expect in next week’s second Republican presidential debate. You can find the webcast all week long at PBS.org/WashingtonWeek. Keep up with daily developments with me and Judy Woodruff over on the PBS NewsHour. And we’ll see you here next week on Washington Week. And as we leave you tonight, as we do every year, with a few moments of today’s commemoration of the 14th anniversary of the 9/11 attacks in New York, at the Pentagon, and in Shanksville, Pennsylvania. Good night. Hillary Clinton promises Israel reset, Rick Perry's failed campaign and Russian advisers in Syria. 42 min 28 sec ago. 53 min 12 sec ago. 57 min 50 sec ago.